This is the last post on our recent trip over to France. Years ago I got hold of a copy of 178 Siege Battery's history for £3.50! Soon after, the M.M. of Gunner Arnold came up for sale so I also bought his medals. 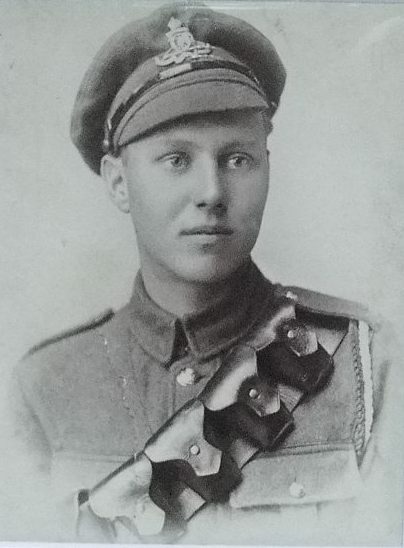 I have visited the site where he won his medal in the past, Feuchy Chapel Redoubt, but that was pre-digital camera. This is the second time that we stopped of at Feuchy Chapel, this time with a digital camera! 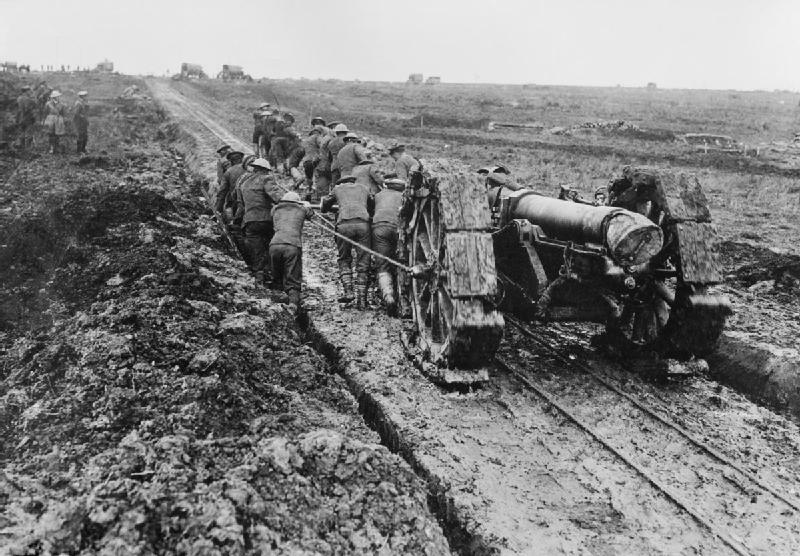 Bottom: The Battery was equipped with 6" howitzers (the image shows a 6" howitzer in use during the Battle of The Somme). 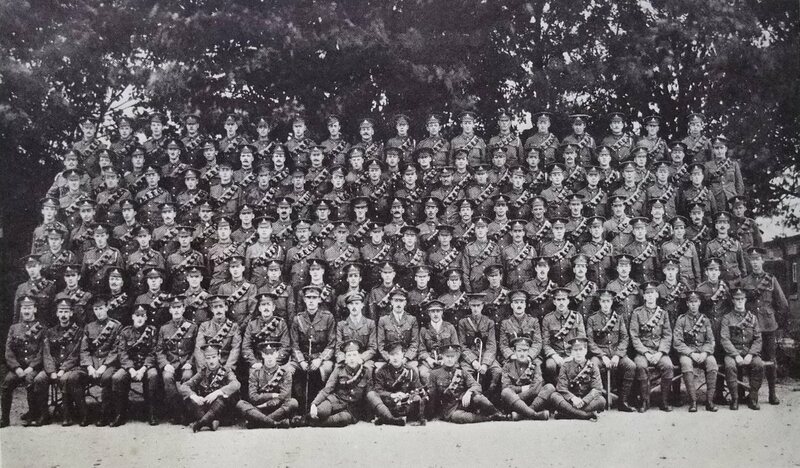 During the Battery's service in France, from Oct 1916 to 1918, the Battery fired 108,271 rounds, from 42 battery positions. 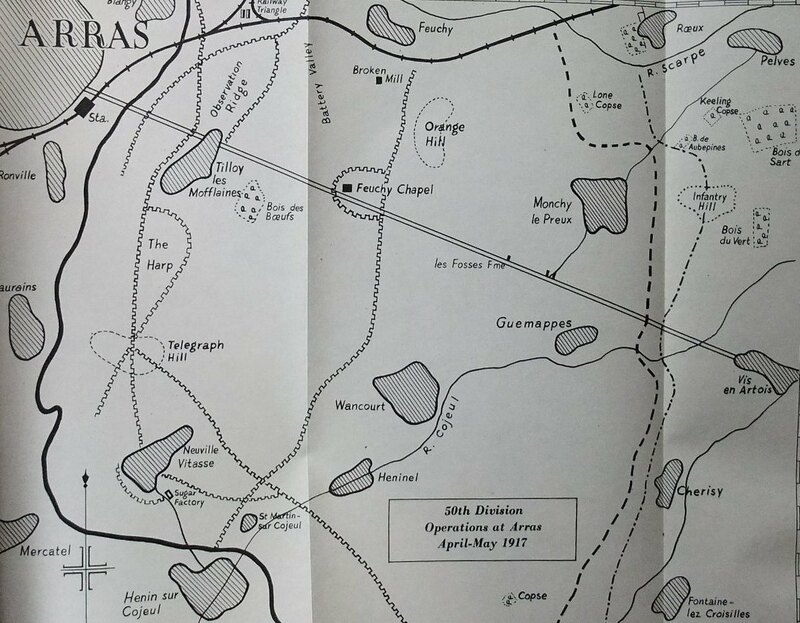 Feuchy Chapel Redoubt was a German strong point that covered the southern exit of Battery Valley, and was captured on the opening day of the Battle of Arras. 178 Siege Battery took part in the intense bombardment that preceded the infantry attack on April 9th, 1917. Due to the success of the infantry attack on April 9th, the Battery's guns were out of range of the enemy and so the Battery moved forward to Blangy. It had to move forward again on April 13th to positions in front of Tilloy and it was in this area that Gunner Arnold won his M.M. "Sleeping accommodation was found for all the Battery in the deep dug-outs at Chapel Redoubt, and although somewhat foul-smelling, they provided good shelter. Down one of these dug-outs one of the first decorations of the Battery was won by Gunner J. Arnold, who at great personal risk removed a live hand grenade from a chimney-pipe, thereby saving the lives of a number of men in the dug-out at the time. At the top of the stairway he was wounded in the leg by the explosion of the bomb, but refused to leave the Battery for hospital". Gunner Arnold survived the War. 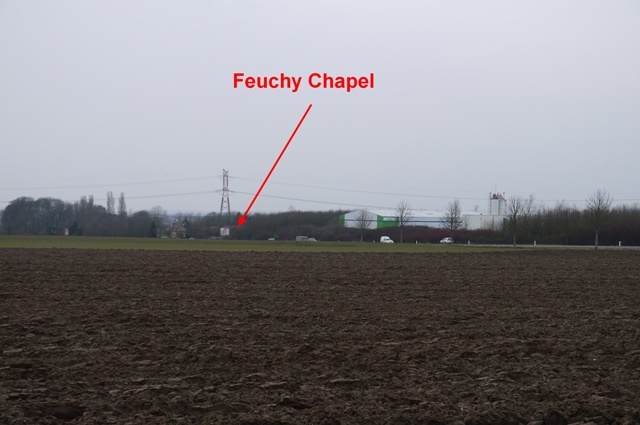 Above: Feuchy Chapel British Cemetery, near to the site of Feuchy Chapel Redoubt.